The thing I love most about The Mysterious Old Radio Listening Society vs. The Nazis is that the four cast member/creators - Tim Uren, Joshua English Scrimshaw, Eric Webster, and Shanan Custer - all really love this format. 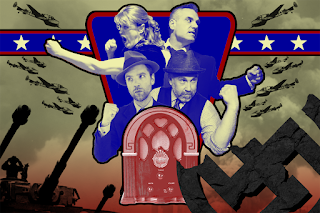 You can tell they relish recreating these old radio shows from the past as authentically as humanly possible - right down to the sound effects and the acting style. Tim, Joshua and Eric also host the podcast version of this concept (launched in 2016), from whence the Fringe shows last year and this year owe their genesis. At the start of each half of the show, the cast shares some basic information on the episode, the series from which it came, and any other historical context or interesting footnotes related to the script and its original production. With the introduction out of the way, they dim the lights, ask you to listen to the sounds and the voices, and get things underway. Once the focus on sound is established, they bring the lights back up so you can watch the actors and sound effects in action. “The Nazi Sub” defeated by title character Bulldog Drummond is the first half of the show; the second half recreates an episode of the old series The Chase centering around “The Newspaper Reporter” dictating his adventures into a recording device for his disbelieving editor to hear - the reporter ends up on the run when he stumbles upon the efforts to safeguard a significant Nazi fugitive from justice after World War II. Both episodes are a real hoot to listen to, both as stories and as art created live in front of you in the moment. 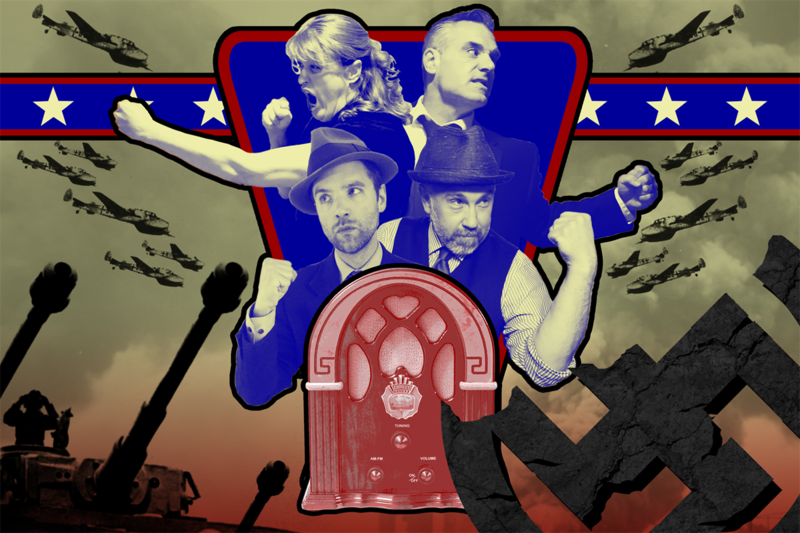 I don’t want to spoil the fun and surprises (and there are a lot of both here), so I’ll close by saying you should treat yourself and go see The Mysterious Old Radio Listening Society vs. The Nazis. It’s like stepping back in time for an hour, when it was (supposedly) a lot easier to know who the good guys and bad guys were - and more often than not, right prevailed. It’s nice to be reminded of that, before we all get back to work fixing things here in the present.